At about 3:10 a.m. on 6/13/2016, Port Authority Police Officer Rhett Peppi saw the suspect driving a white 2015 Ford Explorer near the westbound Holland Tunnel entrance at Marin Blvd and 14 St. Although it was night the vehicle had no lights on. The suspect drove through the left lane that had been closed for tunnel maintenance and was marked off with traffic cones. The suspect plowed into two traffic cones displacing them. The officer pulled the suspect over and noted his eyes were glassy and bloodshot. The suspect said he had not been drinking. The officer noted an odor of alchol about the suspect and the suspect was swaying . He failed a field sobriety test. His ‘Alchol test’ reading was above 12% Officer Peppi placed the suspect under arrest. 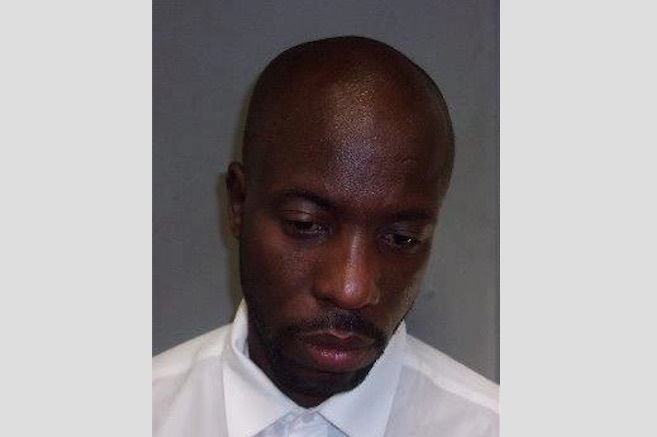 A license check indicated that his driver’s license was suspended in Florida and N.J.